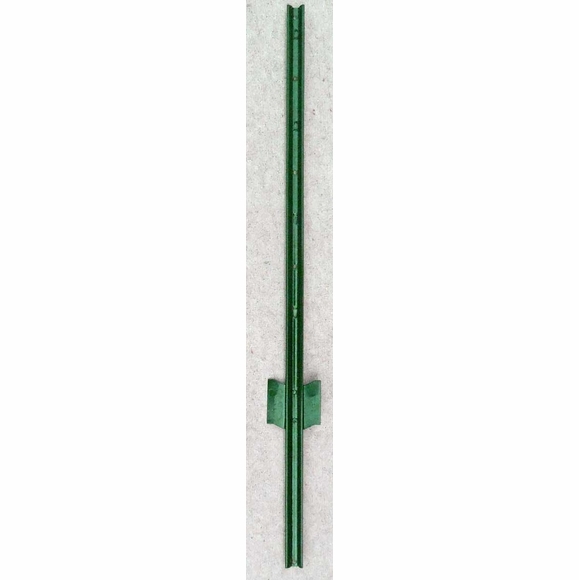 36" Metal Lawn Stake - - includes four 3/16" holes. Address Sign Lawn Stake - - constructed of solid steel. Normal ground insertion leaves a visible stake height of 22". The stake is a sturdy U shaped formed section approximately 1-1/8"W x 1/2" D x 1/16"T.
A flat projection at the bottom 3-1/2" wide keeps the stake from rotating and provides stability. Solid steel address sign lawn stake.